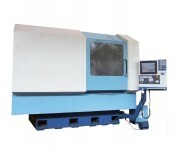 The CNC is designed for machining of parts such as "body rotation", from simple processing to complex double-sided processing of parts with the use of the counter spindle, driven tools, with the orientation of the main spindle. OJSC plant "VIZAS" grinding manufactures-grinding machines with technical characteristics much closer to Your production needs. 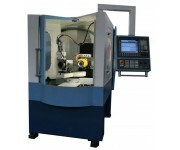 Our tool grinding machines provide high productivity, guaranteeing the quality stability, ease of setup and maintenance. 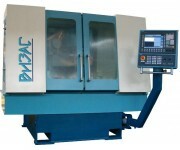 The price of tool grinding machine tool we have the most competitive since we are manufacturers of this equipment. 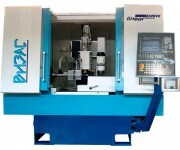 Our special offer - grinding-grinding machine with CNC control providing possibility economical complete machining of the most complex tools. 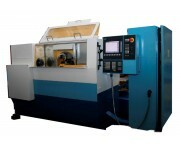 CNC machines are manufactured according to specifications approved by the customer. 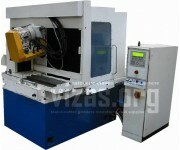 Tool grinding machines from OJSC plant "VIZAS" – a guarantee of stable, uninterrupted and productive work of Your enterprise. A modern cutting tool is made of high-speed steel and a hard alloy. 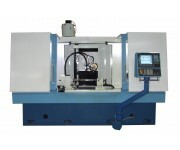 For professional manufacture and sharpening of the end cylindrical, conical, radiu..
A semiautomatic machine (further referred to as the “machine”) is designed for grinding of face mills with 80-630 mm diameter with cutting edge made o.. 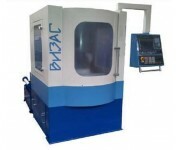 Precision spline grinding machine with CNC VZ-729F4 used in industry as grinding on parts of the slots as straight and involute profiles.. Worm cutters are the main type of tool for finishing, roughing and precision cutting. 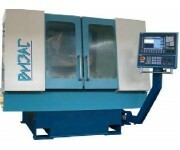 Like any other cutting tool, the teeth of the cutters wear out a..
CNC semiautomatic profile and cylindrical grinding machine is manufactured according to the performance specification approved by the ..
Semiautomatic VZ-676F4 gear grinding machine with CNC for profile grinding of helical gears and spur gears with external grasping by abrasive grinding.. 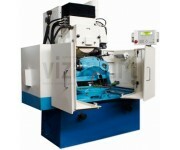 This machine model is outdated all the technical capabilities transferred to the machine VZ-681F4The semiautomatic machine is intended for grinding of..
Sharpening of the mill is the final operation to ensure the required geometric parameters of the mill, as well as to restore the cutting properties lo..
Sharpening and profiling of hard alloys on various surfaces takes a leading place in modern technology of machine building. 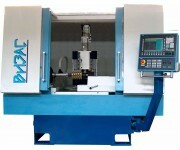 For its implementation, ou..
CNC Semiautomatic Hob-Grinding Machine VZ-721F4 used for grinding along front surface area of the grinding wheel with cooling a single-thread, multipl..
Semiautomatic device VZ-721F4-01 is designed for grinding along the front surface with an abrasive grinding wheel with cooling single-threaded worm ge.. 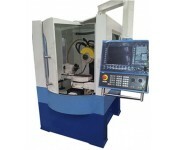 The center is manufactured according to the performance specification, approved by the Buyer, has its original model number and is designed for chip g.. 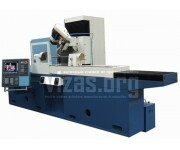 The CNC machine for conical wheels of the VZ-720F4 model produced by the JSC "VIZAS" plant is designed for roughing and finishing of conical and h.. 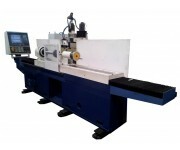 The Broach Sharpening Machine (further referred to as the “machine”) is manufactured under the performancespecification approved by the Buyer, has its..
To sophisticated gear cutting tools include cutting heads of the broach for cutting straight and circular conical wheels. Mostly they are used in ship..